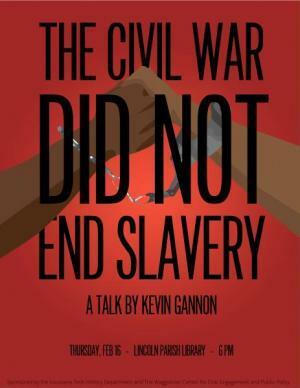 In commemoration of Black History Month, Louisiana Tech University’s History Department in conjunction with the Waggonner Center will sponsor a talk, “The Civil War Did Not End Slavery,” by Dr. Kevin Gannon, Professor of History and Director of the Center for Excellence in Teaching and Learning at Grand View University, Des Moines, Iowa. 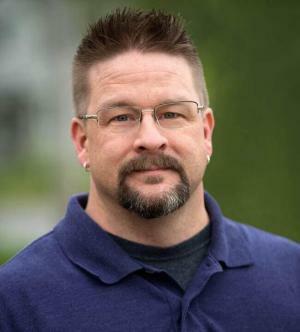 An expert on the Civil War and Reconstruction, Dr. Gannon is currently working on two new books: A Continental History of the Civil War Era (Routledge) and Radical Hope: A Teaching Manifesto (West Virginia University Press). He was also featured in the Ava DuVernay-directed film The 13th, which has been nominated for an Academy Award in the Documentary category. 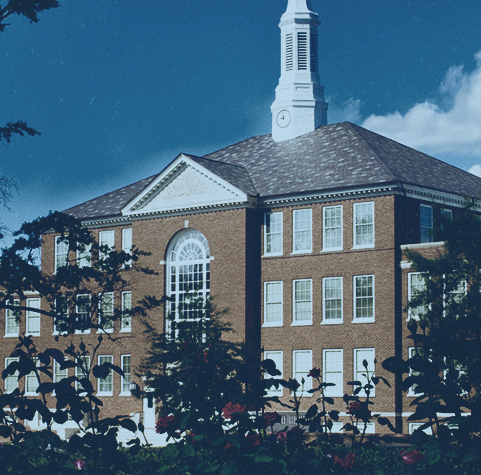 In this presentation, Dr. Gannon will discuss the historical legacies of the Thirteenth Amendment and its connections to the rise of mass incarceration in the twentieth century. He will also show segments from The 13th, which is currently available for streaming on Netflix. Following the presentation, the audience is invited to participate in a Q&A with Dr. Gannon. The talk will take place at the Lincoln Parish Library on Thursday, February 16, at 6 pm. All interested parties are invited to attend. Dr. Gannon’s talk is jointly sponsored by the Waggonner Center for Civic Engagement and Public Policy, the Louisiana Tech History Department, the Lincoln Parish Library, and the Lambda-Rho chapter of the Phi Alpha Theta history honor society, with the support of the McGinty Trust. For additional information, contact Dr. Kristen D. Burton, visiting assistant professor of history and Waggonner Center research fellow at kburton@latech.edu, or Dr. David M. Anderson, associate professor of history and coordinator of Black History Month events, at 318-257-2872 or by email at history@latech.edu. The event is free and open to the public.